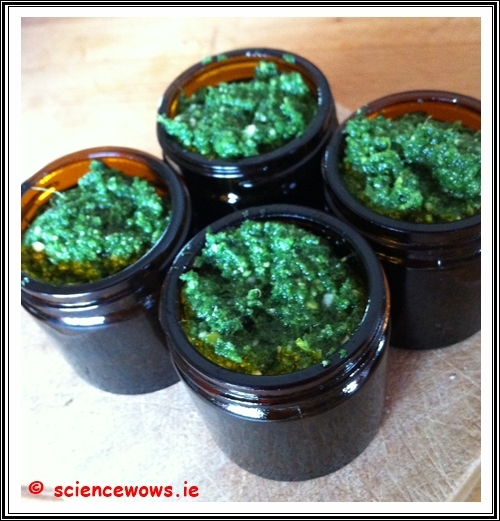 Summer is here, the temperatures are lifting and everything green is bursting forth…. 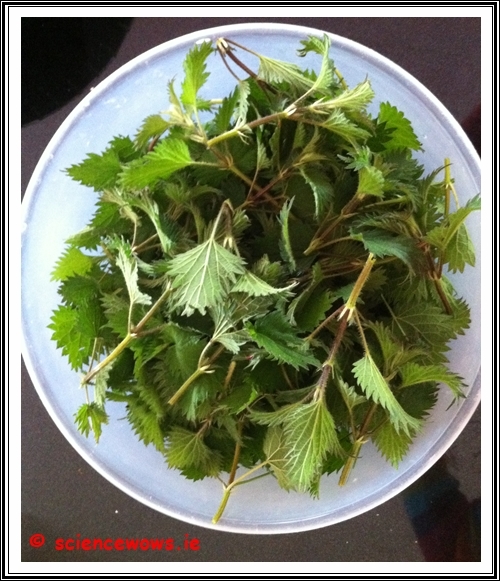 including the nettles! Don’t despair though, behind the sting lies a very useful and beneficial plant! 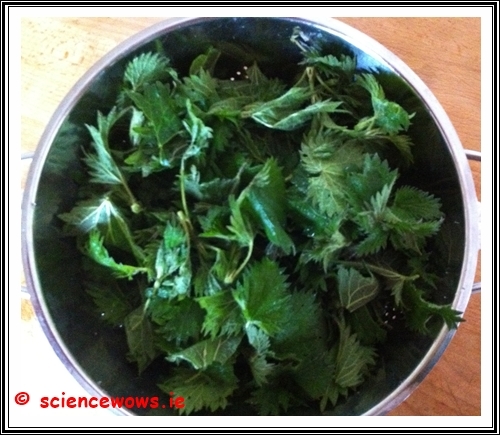 Young nettles are great as a diuretic, a natural anti-inflammatory (used for allergies, asthma, rheumatism) and to treat high blood pressure… to name but a few benefits! 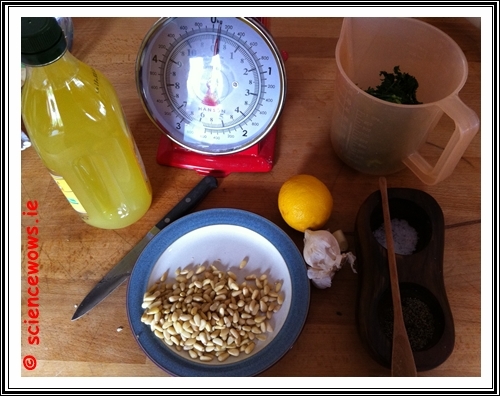 Inspired by this years emerging crop we decided to make some nettle pesto; Usually when I make it I tend to throw in ingredients according to my taste preferences but for the purpose of this blog post I handled things a bit more scientifically and weighed out the ingredients. Feel free to change them at will of course, it is very much a recipe to be “personalized”! 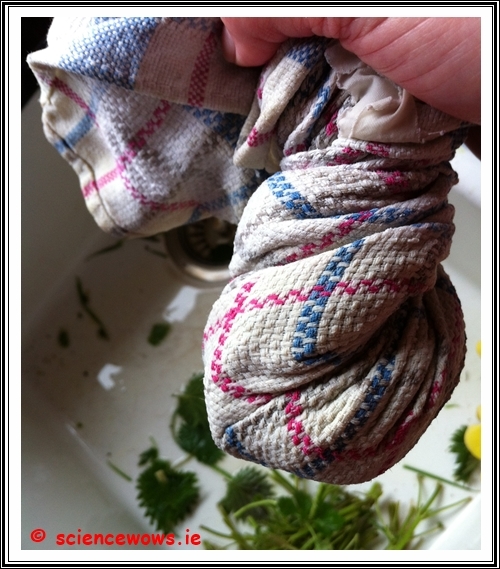 First up…. harvest your nettles, even better if you can recruit a helper or two, this was my “helper” for the task – gloves, hat and all! 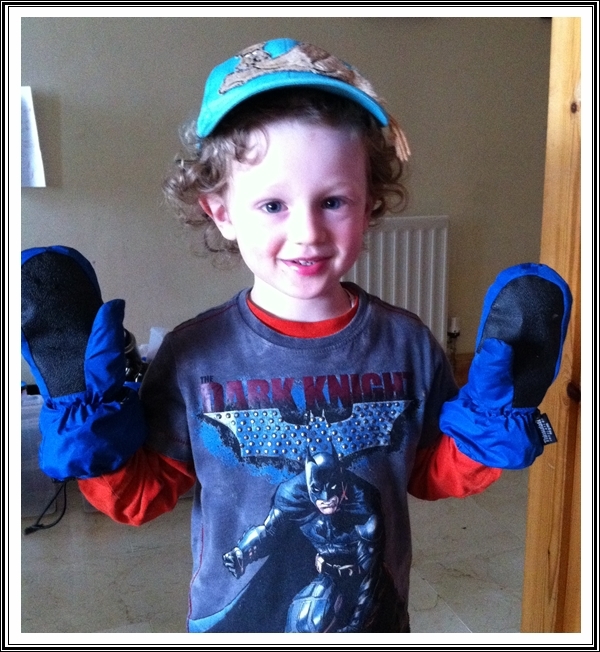 My nettle picking helper… complete with gloves! 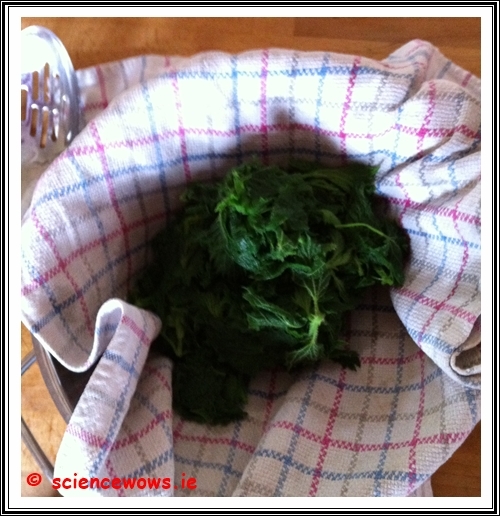 Next I removed the leaves and washed them, ending up with a colander full! 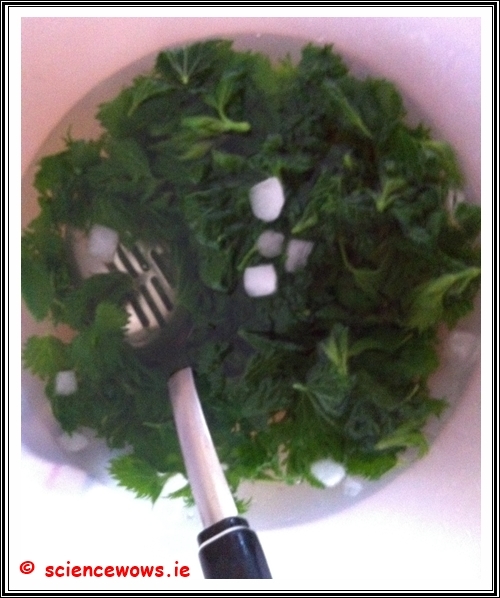 Next step was to blanch the nettle leaves, so they were added to a large pot of boiling water for two minutes then removed with a slotted spoon and added to iced water. 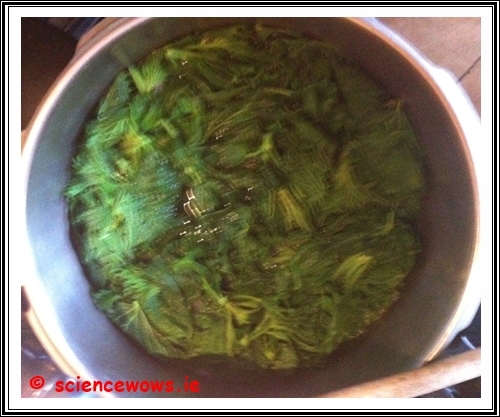 This left me with 100 g nettles, I was ready to make my pesto! 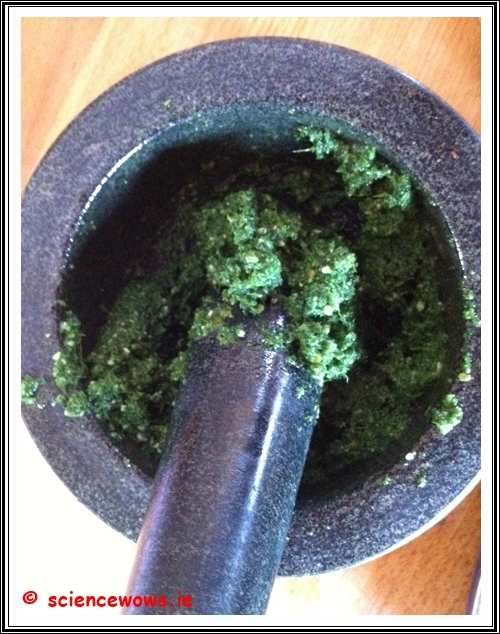 All that remained was to add all the ingredients together and blend, blitz or pound them to the preferred consistency. Guess what we are having for dinner this evening?